Centring before getting out of bed offers some great benefits. 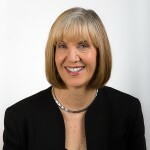 Sally Kleyn will be giving a brief talk at the Women in Business Expo in Birmingham on 23 June. We are please to to announce the launch of our brand new website.